Dr. Ricardo Duchesne returns to Red Ice for a scintillating discussion about three prominent conservative personalities: Jordan Peterson, Steven Pinker, and Jonathan Haidt. Ricardo also talks about his latest work, Canada in Decay. His book is an effort to explain why diversification was imposed across the West. While it focuses primarily on Canada, Ricardo provides an explanation as to why the United States, Canada, Australia, New Zealand, and then Europe began similar, concurrent transformations. Our program then switches gears to focus on Jordan Peterson. Ricardo provides detailed insight into Peterson's strengths and weaknesses as a prominent public intellectual. Secondly, we go on to discuss the ideas of Steven Pinker. Ricardo systematically refutes Pinker's optimistic view of the present state of the West. The first hour also addresses identity, globalism, and the inevitable intensification of politics. 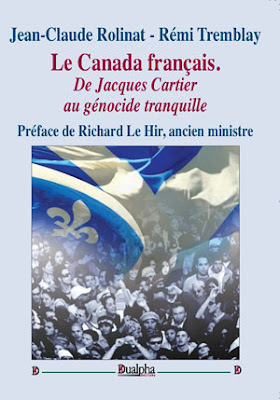 Duchesne is the only academic in Canada, and possibly the Western world, who rejects the diversification of Western nations in favour of European Ethnic Identity. In the member's hour, Henrik and Ricardo provide an examination and refutation of the works of Jonathan Haidt. We discuss the tendency of contemporary psychology to treat ethnocentric attachment as a psychological problem, even though in-group preferences are a biological reality. Henrik and Ricardo then examine neoconservatism's supplanting of paleoconservatism. Ricardo then addresses authoritarianism from different perspectives. The program then moves on to the politics of identity and the divisive nature of multiculturalism. The second hour also delves into the prospect of whites affirming their own white identity; mainstream conservatism's attempts to act as cultural gatekeepers; and much more.